Shipping prices—especially to foreign countries—are high. So I will give it a whirl to offer some products for downloading. 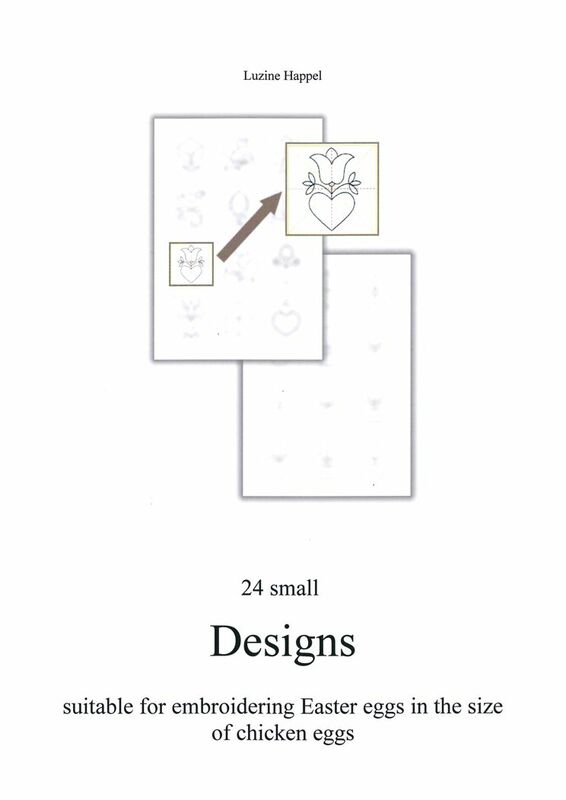 In the posting of March 17, 2013 it is explained how to embroider linen with small Schwalm-typical motifs and Schwalm Patterns for covering plastic eggs to create decorative Easter eggs—a very special type of seasonal German embroidery. 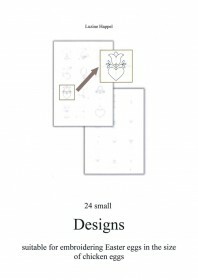 Now I offer an attractive range of 24 such small designs for downloading. 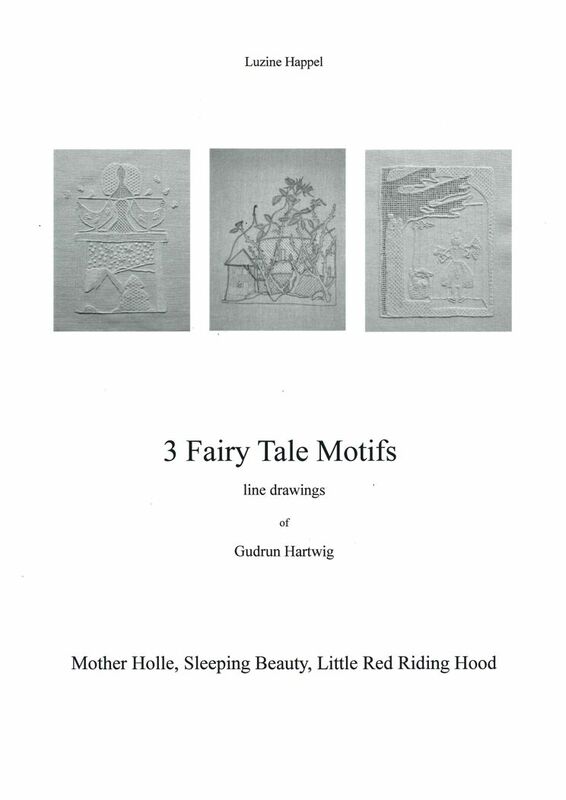 In the posting of May 26, 2013 I presented whitework pictures of German fairy tales from the Brothers Grimm: Mother Holle, Sleeping Beauty, Little Red Riding Hood. These were realized in embroidery by the wonderful designs of Gudrun Hartwig. 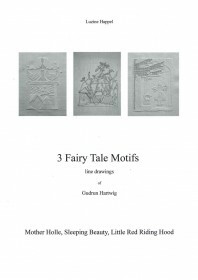 Now these 3 line drawings are available as a download file. In the posting of June 6, 2013 two new English titles were featured. 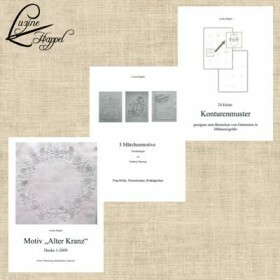 One of them is “Openwork Pattern Samplers” (the translation of the German title “Mustertücher `Lichte Muster´”); Openwork patterns, along with Limet patterns, are a fundamental aspect of Schwalm whitework. 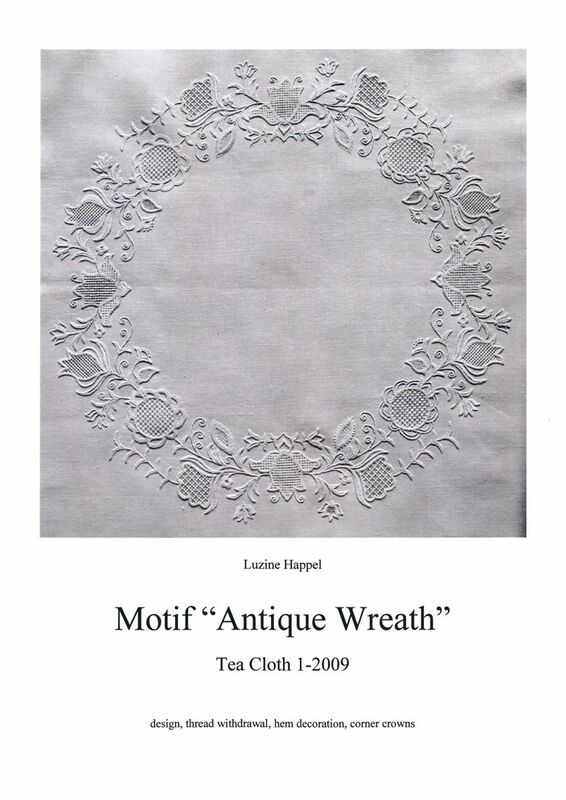 Some years ago I worked a tea cloth—my cloth 1-2009—with a wreath design embroidered with patterns from this book. The design of the wreath was created as a variation of a preserved Schwalm border with traditional shapes. 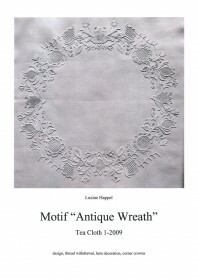 A fantastic idea I have just purchased the Antique Wreath pattern. What a good idea! Thank you so much for this news!